I have a Lenovo Ideapad Y560p. It’s one of about a dozen or so notebooks from Lenovo that use Lenovo’s “exclusive” RapidDrive technology. I hate it. I’ll explain why it’s a bad way to go. Note: Conclusions about how Lenovo RapidDrive are my own. Lenovo hasn’t published a white paper. There is ample evidence to support my conclusions. But, Lenovo should step up and publish a white paper next time. It’s not hard to do, even in broken English. 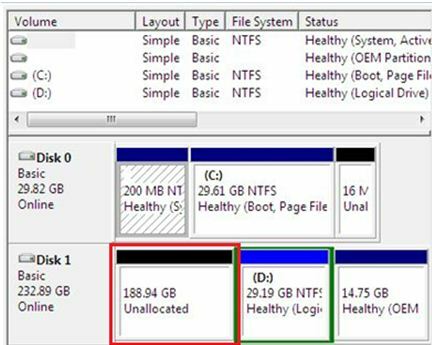 There are two ways to combine an SSD and HDD. I have a lot of projects going on, so I’ll be brief. 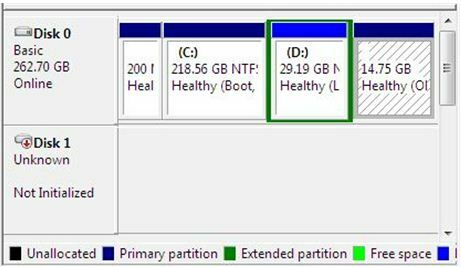 The first is to treat the SSD and HDD as one logical block. Essentially, a kind of RAID array where the first sector of the HDD begins after the last sector of the SSD. 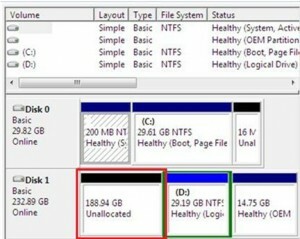 The other way is to intelligently cache what sectors on the HDD are being most used, and copy those into the SSD. This is what Intel’s Smart Response SSD Caching does, it’s what the Seagate Momentus XT does, and it’s what Windows Vista ReadyDrive kicked off the Hybrid Drive movement with. For once, I agree with Microsoft. Vista ReadyDrive was ahead of its time, but it had the science right. Seagate proved Microsoft correct with the Momentus XT drives, which toss any standard hard drive back into the 20th Century in terms of performance. I believe Lenovo RapidDrive does not cache files into the SSD-portion at all. Here’s why. Above you see part of Lenovo’s guide (also linked above) for setting up RapidDrive if your system lacked an SSD initially. Or, if you vaporized your system and need to reinstall from scratch with the RapidDrive driver. The before and after tells the story. 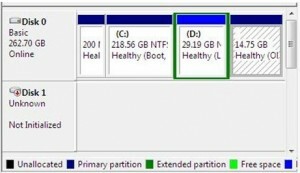 You are to install Windows onto the SSD, launch the RapidDrive setup, and afterwards the unallocated portion of your HDD (which you’re supposed to make yourself beforehand) will then be merged with the SSD. While it would be possible that SSD caching could occur, I am skeptical. The necessity to install the OS prior to deploying RapidDrive is key. If RapidDrive were to cache files in-and-out of the HDD, why run the Restore Disc exclusively to the SSD first? Further evidence can be found in the recently-yanked RapidDrive Advanced. RapidDrive Advanced provided controls that intelligently controlled where SSD and HDD files resided on the two drives. It created symbolic links that placed Desktop, Documents, and other key folders on the HDD sectors. Regardless, Lenovo RapidDrive is not well designed in concept, technical flaws aside. I don’t need to buy a new laptop, don’t have the time to juggle laptops on fleabay either. So, I’ll be putting in a larger, more expensive SSD into my Y560p, and simply keeping the SSD and HDD separate. At some point, I’ll upgrade the HDD with a Seagate Momentus XT, and make that a hybrid drive on its own. Lord Almighty! Thank you! I hate my Y570 for exactly this reason. Will it not be simpler to use the SD drive mainly for the operating system, drivers and software applications and use the mechanical for storage of files? 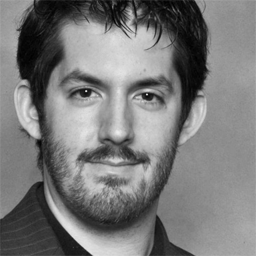 I believe this will prevent notebooks and computers for crashing and will allow a much faster startup time and give plenty of storage space for our all our files including media files etc…. I am really interested in buying a new hybrid hard drive and use it this way, do you think it will work? I would suggest either keeping the SSD and HDD separate, or going with a true hybrid hard drive like a Seagate Momentus XT. mSATA pricing is still quite high, so on a laptop you either have to choose a very small mSATA SSD, drop the HDD completely, or use an optical drive replacement bay that allows the use of a second 2.5-inch disk drive. For most people, I think the Momentus XT will give you the best bang for your buck. But, if you want a true SSD, the mSATA bay is the cleanest (albeit, expensive) route.